For users of the Optimization Module, COMSOL Multiphysics® version 5.4 includes a Density Model feature for topology optimization, the ability to combine a Parametric Sweep study with derivative free optimization, and new models to demonstrate the Density Model feature. Read more about these optimization features below. Topology optimization for structural mechanics and fluid flow now involves substantially less trial and error. These topology optimization improvements are thanks to a new Density Model feature that introduces a minimum length scale: the filter radius. Using this feature is preferable to the other types of regularizations (for example, Tikhonov regularization) that is used in tutorial models in previous versions of COMSOL Multiphysics®. There is a new 3D topology optimization tutorial model in the Application Library that illustrates the new feature and best practices for exporting and importing STL-files of the resulting designs. The Parametric Sweep study feature can now be used in combination with the Optimization study for analysis types where derivative-free optimization is required. A typical example is a parametric sweep over a geometry dimension such as a length or a radius. In previous software versions, you had to choose to perform either a Parametric Sweep or an Optimization study in such cases. Now, the two study types can be combined in one and the same model. 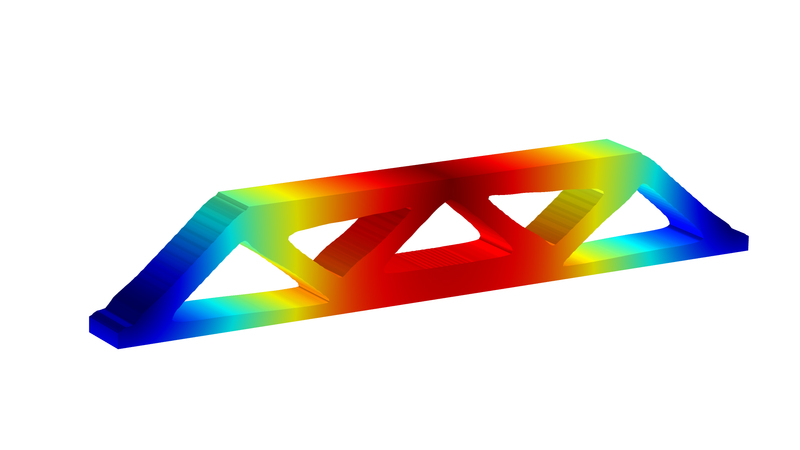 COMSOL Multiphysics® version 5.4 brings a new important tutorial model for topology optimization. 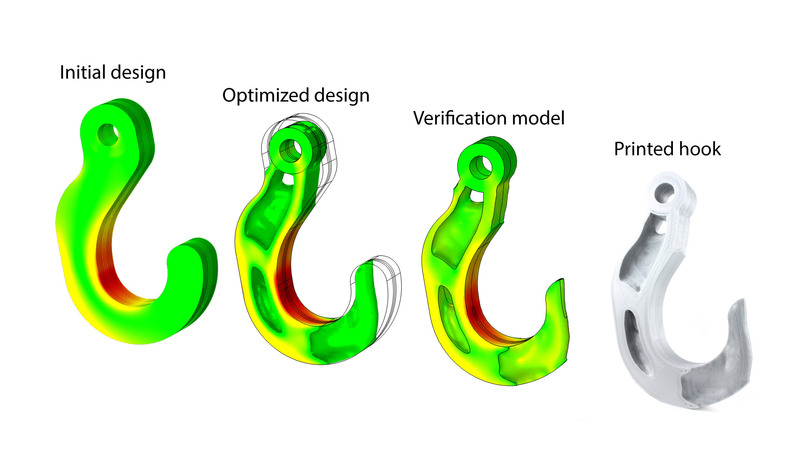 The model named Exporting and Importing a Topology Optimized Hook uses the new Density Model feature to find a stiff and light hook with respect to two different load cases. The resulting design is exported as an STL-file and imported back into the software for verification purposes. 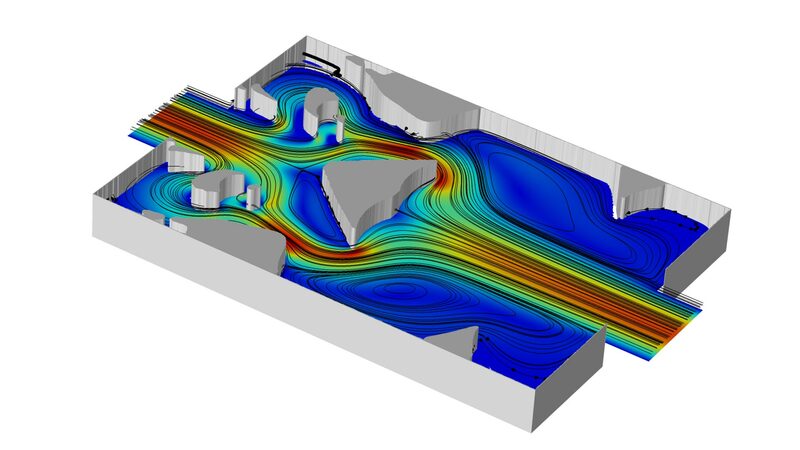 A Tesla microvalve is optimized using the new Density Model feature. The backward flow direction is shown, which is associated with a pressure drop that is more than twice that of the forward flow direction. Updated with the new Density Model feature, the Messerschmitt-Bölkow-Blohm (MBB) beam is solved by imposing a minimum length scale using a Helmholtz smoothing filter.